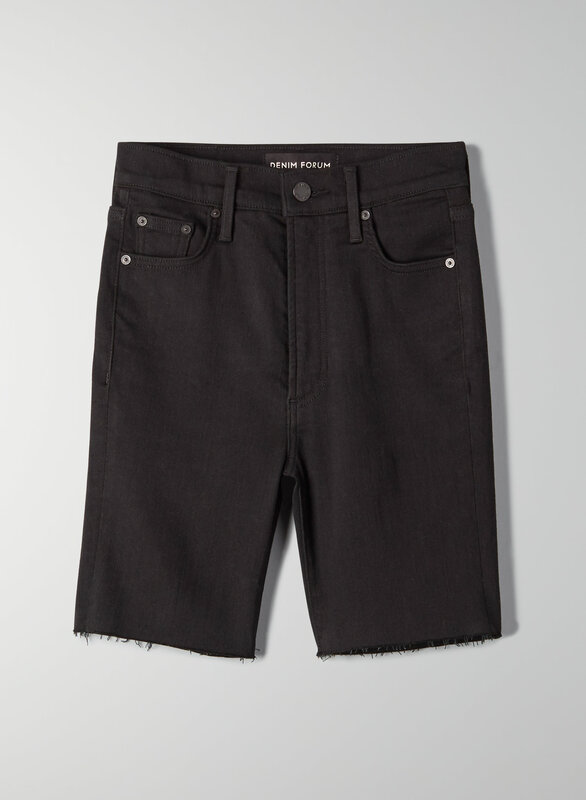 Channel your inner rock-and-roll muse with these high-rise, raw hemmed denim shorts. Inspired by our Lola High Rise Skinny, the Lola Bike Short is made with the same Best Asset™ fabric for a smoothing and lifting effect. 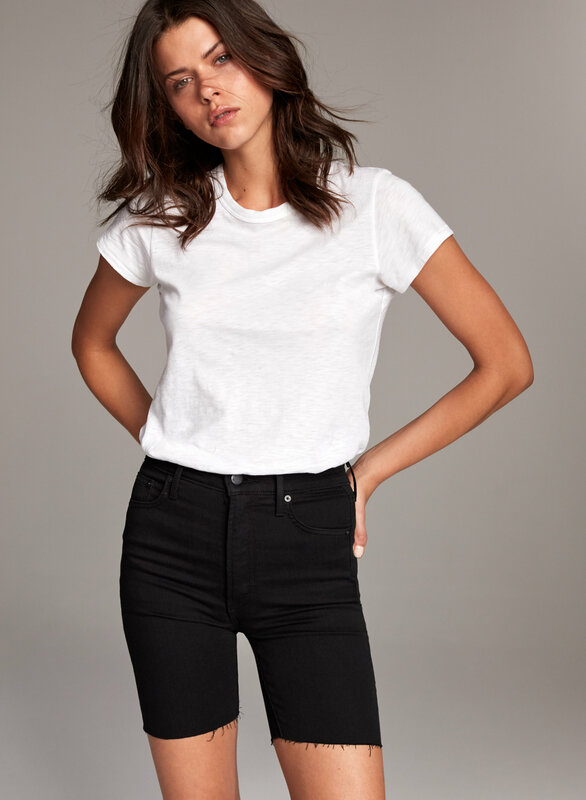 This version is made with an organic cotton-TENCEL® blend from Italy and comes in a true black wash. T-shirt is stylist's own.